London is a treasure trove of fashion stores, from high-end boutiques to a wealth of thrift stores and second-hand haute couture stores. Here, we focus on the best vintage clothing shops in the capital. Whether you’ve got a penchant for vintage denim, zany patterned shirts or classic Americana, you’ll find something that’s truly unique. Rokit started as a stall in Camden market in 1986, and now has stores in Covent Garden and Brick Lane. The stores stock a comprehensive selection of retro items from military gear and tutus right through to trilby hats and cowboy boots. You won’t find many well-known labels here, but it’s worth a rummage. The selection at Absolute Vintage runs the gamut, with many pieces priced around £20. 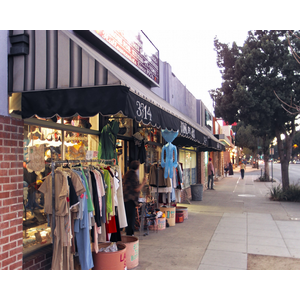 Its cluttered display of goods consists of quality vintage clothing and accessories, for both women and men. If you’re willing to search through the racks you may find designer items and even garments dating far back as the ‘30s. During the day, Paper Dress Vintage is a great find for retro clothing, shoes, and accessories dating from the 1900s to the 1980s. At night the store magically transforms into an event space hosting comedy, dance classes and burlesque and a bar with live music. This is one of London’s largest and most well-known vintage clothing purveyors, with locations in Soho, Dalston and Bethnal Green. The store has something for everyone, from printed party dresses for the festival teens and Converse and denim jackets for the 20-something to classic Americana for the shrewd, more mature fashionista. This store opened in 2002 and established itself in the vintage fashion world, later opening two stores in Oxford and London. The two-floor store in London offers an impressive selection of premium vintage treasures sourced from Europe. Shoppers can expect to find kitsch dresses and sweatshirts mixed in with Versace blazers and Gucci loafers. Alfies Antique Market, the largest indoor market in London, boasts more than 75 dealers spread over five floors. It offers everything from second-hand clothing and jewellery to antique silver as well as mid-century modern furniture. Head to the ground floor for flapper dresses dating from 1900 to 1930, carefully preserved Miriam Haskell costume sets and ’80s designer pieces from Vivienne Westwood and Oscar de la Renta. With these six retro clothing shops in London, you are sure to find a range of pre-loved pieces, from the twenties glamour to seventies flair.